San Bernardino County is so large that it stretches north as far as the cities of Earp and Vidal, and east as far as the small city of Needles; and south to Chino Hills, Colton, and Loma Linda, with the city of San Bernardino serving as the county seat. The entire county measures just over 20,000 square miles, with a population, as of the 2011 U.S. Census, totaling 2.06 million. For such a large area, there are three major jails to accommodate the county’s correctional facility needs. Since most police department jails don’t have the room to hold inmates for any length of time, they must transfer inmates within a short period of time to one of these jails; West Valley Detention Center in Rancho Cucamonga is known as the main San Bernardino County Jail, Central Detention Center (CDC) in the city of San Bernardino, and the newest facility in the county, built in 2006, the Adelanto Detention Center in the city of Adelanto. Most police department jail facilities are not equipped to hold inmates until their hearings, so to avoid being transferred to one of the county jails, posting bail as quickly as possible through a reputable bail bonds company like Premiere Bail Bonds, is to the inmate’s best interest. Our bail agents are very familiar with the procedures at each of the San Bernardino County jails and will give you the time and attention you deserve to make the bail process go smoothly. That’s what we’re here for; to alleviate the pressure you could feel having to deal with this situation all alone. Premiere Bail Bonds has over 20 years of experience in the bail industry with Sean Cook, a prominent author and President of the Orange County Bail Agents Association, running the company. 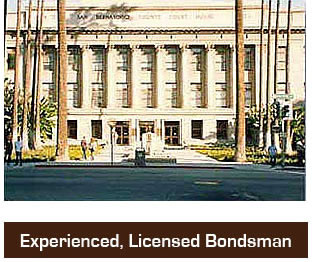 As a family-owned and operated bail agency, you will always be treated with the utmost respect and confidentiality. So, make that all important call as soon as you know you must bail out a loved one quickly, before they’re transferred to a county jail. The longer you wait to make that call, the longer it will take to get them released from custody. 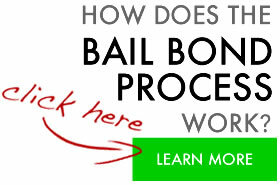 Call a Premiere Bail Bonds agent NOW at 800-662-0056!